The British Columbia wine industry is thriving, with more than 230 wineries of varying sizes spread throughout the province’s four wine growing regions. There is a world of flavour and choice, and the quality is proving itself. BC wines have a gaining presence on fine and casual dining menus, and people from all over the world seek vacations in BC wine country. Most of the wine produced in BC stays in the province and is enjoyed by British Columbians, who are fiercely loyal to their home-grown libation. This was not always the case. A small and engaged group of wineries kicked things off; in 1990 there were 11 wineries; however, with the 200+ wineries in the industry at present it is easy to see that many others also believe that the BC wine industry is a worthwhile endeavor. A few of these first-on-scene wineries remain today, including Gray Monk, Quails’ Gate, and Cedar Creek, to name a few, yet many of these early wineries have seen drastic changes in the nearly 30 years that they have been open, such as expansion into the US or changing ownership. It’s undeniable that the handful of first wineries is the group who did the heavy lifting required to get the industry going. Key personalities collaborated and associations formed with government and tourism bodies. Three decades later, we see an emerging class of local food, wine and people who are defining the “new” BC wine industry. Swinging back to the early 90s, the British Columbia Wine Institute launched, an organization set to establish quality standards and to help market this burgeoning industry. At the helm of this newly formed association was founding chairman Harry McWatters, with Christine Coletta as executive director, and less than 20 wineries. At the time McWatters was the owner of British Columbia’s first estate winery, Sumac Ridge Estate Winery, and over the following two decades McWatters went on to be a driving force in the development of British Columbia’s wine industry. 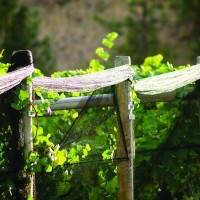 A maverick, McWatters, established many ‘firsts’ in BC, such as being the first to plant grapes on the Black Sage Bench. 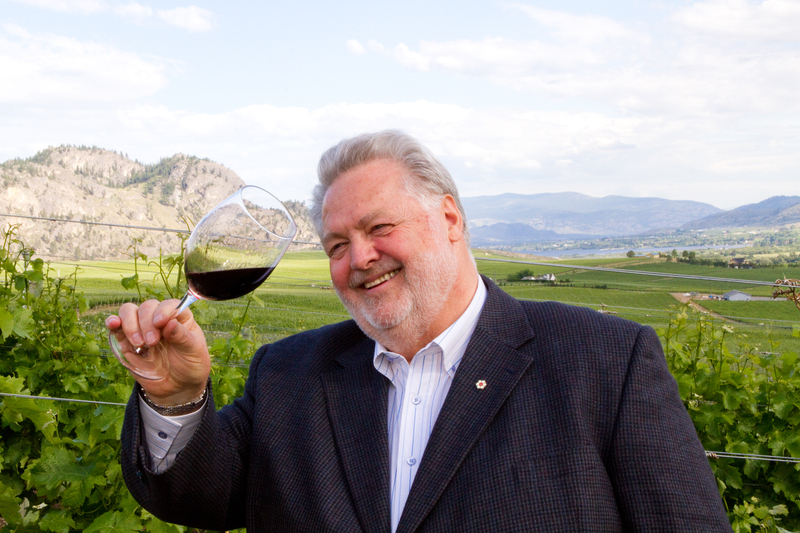 He is the founding chair of the British Columbia Wine Information Society and founding president of the Okanagan Wine Festival Society. 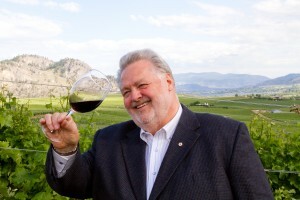 He is also a director of the Canadian Vintners Association, founding Chairman of VQA Canada and is the founding chairman of the British Columbia Hospitality Foundation. In addition to founding Sumac Ridge Estate Winery in 1980 McWatters also is the founder of See Ya Later Ranch Estate Winery in 1995. In the spring of 2000, McWatters sold both wineries to what is now Constellation Canada and continued as president of both wineries until “retiring” in 2008, and establishing a new company, Vintage Consulting Group. In 2001, Harry received an Honorary Doctor of Laws Degree from Okanagan University College in recognition for the pivotal role he plays in the development of both British Columbia’s and Canada’s wine industry. Continually reinventing himself, in 2011, McWatters released a lineup of wines from his Sundial Vineyard on Black Sage Bench under a new wine label, the McWatters Collection, expressly created to reflect the special qualities of the Black Sage Bench, and as a legacy brand for his daughter and son. Wine lovers have been quick to snap up the Meritage and Chardonnay, and celebrate the flavours of the south Okanagan. On the horizon for McWatters is TIME Estate Winery, his winery under construction and set to open in 2015 in Oliver, BC surrounded by his Sundial Vineyard on Black Sage Road. Until then, the following TIME Estate Winery wines are available: Chardonnay, white Meritage and a red Meritage, plus the Sundial white blend and a Cabernet Franc, all from estate-grown fruit. 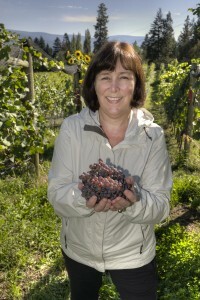 Christine Coletta is another name that is tantamount in the Canadian wine industry. Many credit the first executive director of the British Columbia Wine Institute as the one who put BC wines on the map. Recognized as one of Canada’s most astute marketers Coletta was instrumental in the development of the BC wine industry through the establishment of the VQA program, later working on dozens of BC wine brands and country marketing programs. In 2009 Coletta and her husband Steve Lornie launched their own wine, Haywire, and in 2011 the couple opened Okanagan Crush Pad, a high-end 35,000 case, small lot custom winemaking facility in Summerland, BC with the resources and expertise to take product from field to market – including branding, marketing, communications and distribution and sales. The winery is home to Haywire wines, and welcomes clients, be they vineyard owners or other wineries who wish to establish their own wine brand. 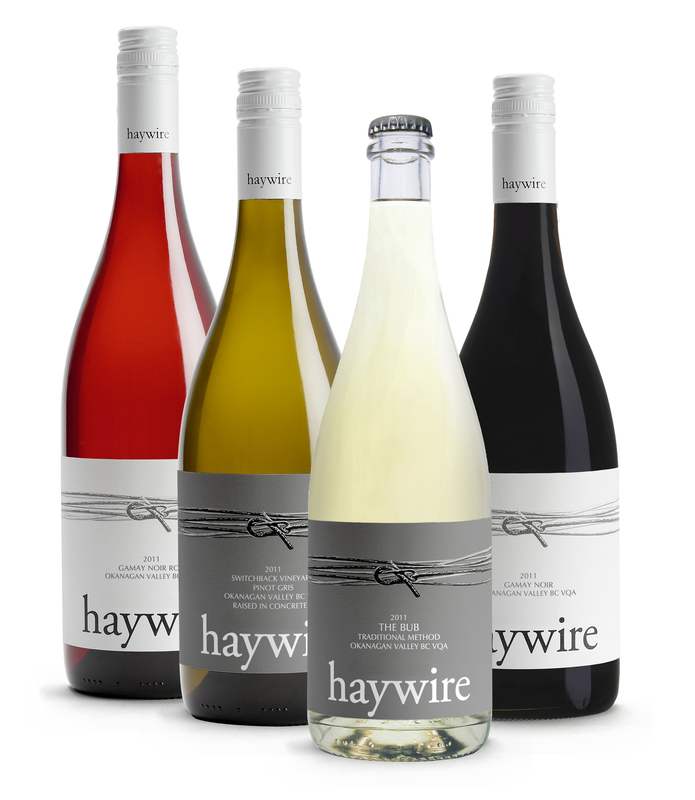 The Haywire wines, made from organically farmed grapes and with as little interventions as possible in the cellar, have been met with high praise and critical acclaim for their true expression of where they are grown. 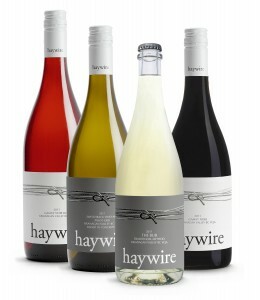 The Haywire offering is a lineup of varietal wines including a Pinot Gris grown at the winery’s Switchback Vineyard, a Chardonnay, and Pinot Noir from nearby Canyonview Vineyard (the latter of which capturing a Lieutenant Governor award in 2014). The winery also makes a Gewurztraminer, rosé, and a celebrated sparkling wine called The Bub. As the new Okanagan is expressed, Coletta continues to create: in 2014 Haywire released specially-labeled wines to pair with Asian cuisine and coincide with the Lunar New Year. Next up for Haywire is the expansion of the sparkling wine program, in time for holiday celebrations. Further regarding sparkling wine, a look at the BC wine industry then and now would not be complete without taking a look at Kelowna’s Summerhill Pyramid Winery. Canada’s most-visited winery is one of BC’s pioneering wineries, and another that continues to grow and evolve with the industry. 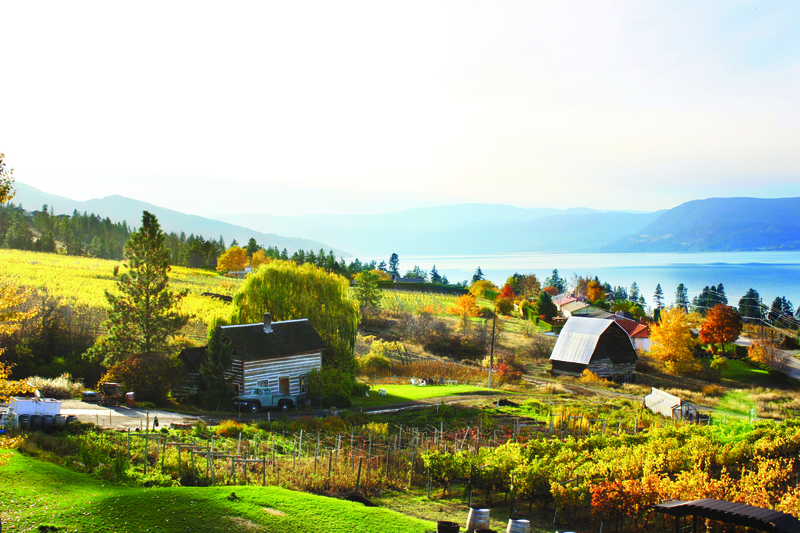 When founder Stephen Cipes first visited the Okanagan in 1986, he believed he’d found unique conditions to produce “intensely flavoured small grapes”– the perfect base for sparkling wine, and in 1991 Summerhill was born. 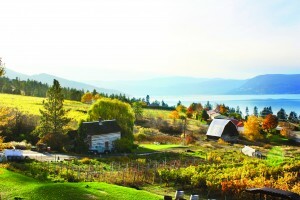 Owned and operated by the Cipes family, the winery has been a leader in organics, converting their own vineyard holdings to organic status shortly after the property was acquired, and since, has helped to convert and support more than 200 acres of Okanagan vineyards to certified organic status. After two decades, founder Stephen Cipes has turned daily winery operations over to son Ezra, and the mission of the winery team is to produce exceptionally good tasting wines organically. The winery offers a range of wines; among them Riesling, Gewurztraminer, Syrah, Pinot Noir, blends of red and white wines, as well as Icewine. And in the time since Stephen had his eye on the Okanagan, Summerhill has emerged as the country’s foremost producer of sparkling wine. Winemaker Eric von Krosigk oversees the portfolio of BC VQA wines that earned the winery the Canadian Wine “Producer of the Year” trophy at the International Wine & Spirits Competition in London, England in December 2009 as well as a trophy for “Best International Bottle Fermented Sparkling Wine” from this same competition in 2010. The latest project at Summerhill is a partnership with renowned Canadian artist and naturalist Robert Bateman to offer a series of wines featuring Bateman’s artwork, with proceeds to nature-related school programs. As wine lovers reach for their next bottle of BC wine, they might imagine that the booming industry is what it is today thanks to the foresight, effort, time and money of a few groundbreakers that believed that this province has something special to express, and continue to make it happen.